The digital world’s emergence brought some new processes and technologies in the audio world, and their use has been reinforced since the past few years. Electronic music, being most of the time produced on computers, is those processes’ first ambassador. However, we have no choice but to note that these new techniques are largely spread nowadays regardless of the musical genre. Even if musical creation has been made very accessible thanks to current means, a lot of artists lack of experience and skills with these new production processes, and are having a hard time reaching the “pro sound” despite the fact that they have great musical compositions. We are at Trauma Audio fully aware of these processes and techniques which have brought so much to the audio production world and are making the greatest albums nowadays. Having been both Electronic Music producers for many years, we are using them every day and are constantly improving our knowledge and skills for this matter. Our Sound Engineer experience also allows us to perfectly know the analog world, which is very important to use along digital processes to reach the most accomplished sound possible. What we offer today to our customers, is to take advantage of our services composed of a perfect mix between all the technical and practical benefits of the new technologies that we perfectly master, and the traditional but vital knowledge of analog gear which is the greatest way to reach the warmth and depth needed to produce the best records ever. We are at Trauma Audio fully aware of these processes and techniques which have brought so much to the audio production world and are making the greatest albums nowadays. Having been both Electronic Music producers for many years, we are using them every day and are constantly improving our knowledge and skills for this matter. Our Sound Engineer experience also allows us to perfectly know the analog world, which is very important to use along digital processes to reach the most accomplished sound possible. At Trauma Audio we are using, on top of a range of professional digital tools, a battery of analog gear allowing us to reach a sound as deep as precise, as warm as powerful. Our customers can benefit with us from an analog summing, routed through a digital to analog conversion of the highest quality. 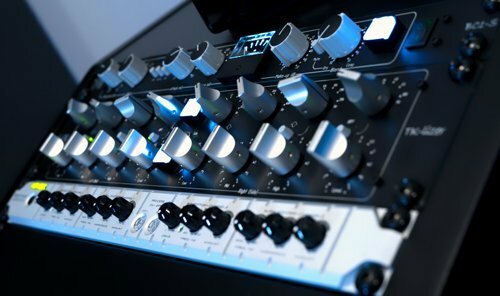 This step taking a record from the multi-track stage to one stereo track is crucial, and a lot of digital studios are not offering it to be performed via an analog summing unit, while this is increasing considerably a mix’s depth, definition and stereo imaging. 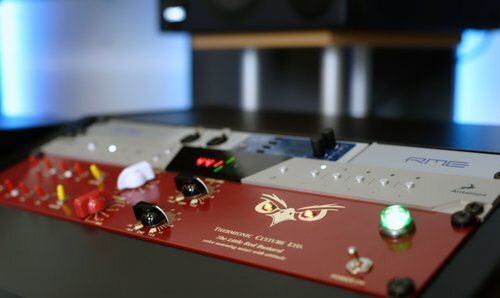 Our professional summing unit, Thermionic Culture’s Little Red Bustard, can also “heat up” your mix thanks to its valve circuit’s subtle harmonic distortion. 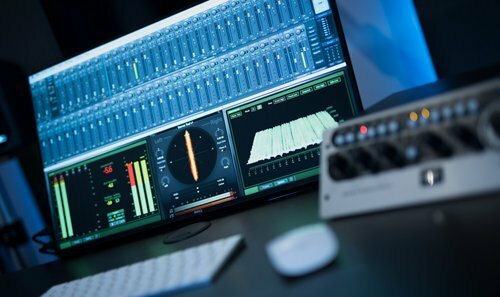 This process can be done at the end of your mix to make sure it’s perfectly summed to a stereo track, or if you do your mastering with us, choosing the “Stem” or “Hard Stem” option. We are using the best of both digital and analog worlds to be able to offer services meeting your highest expectations, and perfectly fitted to the current music industry’s requirements.